During a preliminary survey of late twenty-first-century mining outposts in the asteroid belt, Dr. Gan Shishu, director of the Institute for Space Archaeology at the China National Space Administration, recognized a unique opportunity. Leaving her field team as they continued to document the massive Halliburton gantry on asteroid Q36, she piloted her team's one-person archaeoprobe L.S.B. Leakey toward a strange-looking artifact nearby that had been drifting in heliocentric orbit for more than two centuries. Science fiction? Not any longer. The notion of archaeological research and heritage management in space is an idea whose time has already arrived. It's been more than 20 years since Brown University archaeologist Richard Gould proposed that aircraft wrecks might yield important data--laying the foundation for systematic archaeological studies of sites from the history of human flight. Then, in 1993, University of Hawai'i anthropologist Ben Finney, who for much of his career has explored the technology and techniques used by Polynesians to colonize islands in the Pacific, suggested that it would not be premature to begin thinking about the archaeology of Russian and American aerospace sites on the Moon and Mars. Finney pointed out that just as today's scholars use the archaeological record to investigate how Polynesians diverged culturally as they explored the Pacific, archaeologists will someday study off-earth sites to trace the development of humans in space. He was certainly clear-eyed about the improbability of anyone being able to conduct fieldwork anytime soon, but he was equally convinced that one day such work would be done. There is a growing awareness, however, that it won't be long before both corporate adventurers and space tourists reach the Moon and Mars. The Russians already carry very-high-paying tourists to the International Space Station, and the recent launch by the private company Scaled Composites of the three-passenger SpaceShipOne has shown that corporate space travel will soon be feasible. There's a wealth of important archaeological sites from the history of space exploration on the Moon and Mars and protective cultural heritage regimes need to be in place before these people get there. Otherwise, we must be prepared to someday see pieces of Apollo 11 listed for sale on Ebay. In 1999, a company called Lunacorp proposed a robotic lunar rover mission beginning at the site of Tranquility Base and rumbling across the Moon from one archaeological site to another, from the wreck of the Ranger 8 probe and a Surveyor spacecraft to Apollo 17's landing site and a lost Soviet Lunakhod rover. The mission, which would leave more than 600 miles of tread marks at some of the most famous sites from the history of exploration, was promoted as a form of theme-park entertainment. In addition to the threat from profit-seeking corporations, scholars cite other potentially destructive forces such as wanton souvenir hunting as well as uncontrolled or unmonitored scientific sampling, like that which has occurred in explorations of remote polar regions. According to the vaguely worded United Nations Outer Space Treaty of 1967, what it terms "space junk" remains the property of the country that sent the craft or probe into space. But the treaty doesn't explicitly address protection of sites like Tranquility Base, and equating the remains of human exploration of the heavens with "space junk" leaves them vulnerable to scavengers. Another problem arises through other treaties that proclaim that land in space cannot be owned by any country or individual. This presents some interesting dilemmas for the aspiring manager of extraterrestrial cultural resources. If the U.S owns the archaeological remains of Apollo 11 but not the ground underneath it, how to protect the former without disturbing the latter? Does America own Neil Armstrong's famous first footprints on the Moon but not the lunar dust in which they were recorded? Surely those footprints are as important in the story of human development as those left by hominids at Laetoli, Tanzania. But unlike the Laetoli prints, which have survived for 3.5 million years encased in cementlike ash, those at Tranquility Base could be swept away with a casual brush of a space tourist's hand. In what may be the first instance of funded space archaeology research, a team led by Beth O'Leary, a New Mexico State University archaeologist, is studying legal ownership of artifacts and structures in space, and how one might go about documenting and preserving them. O'Leary's group argues that even though the United States cannot, by treaty, own the land on which the lunar module Eagle's descent stage rests, U.S. federal preservation laws and regulations nonetheless apply to the objects left there. They see the base as a natural candidate for the National Register of Historic Places, as a National Historic Landmark, and, potentially, as the first extraterrestrial site on UNESCO's World Heritage List. Gan's doctoral work on the rise and fall of the American Empire had taken her to several aerospace museums around the world. But museums, she knew, were of limited use to the archaeologist, since they frequently reinforced an established order while, consciously or not, shifting the attention of museum visitors away from manifest failures in the technological and social history of that established order. Now, as the Leakey's robot arm reached out and snared the slowly tumbling artifact, Gan viewed the only surviving lunar module of the American Apollo program, the first (and ultimately only) successful attempt to put humans on the Moon prior to permanent Chinese colonization in 2043. Of the eight lunar modules sent into space, only one survived destruction--and Gan was about to board it. 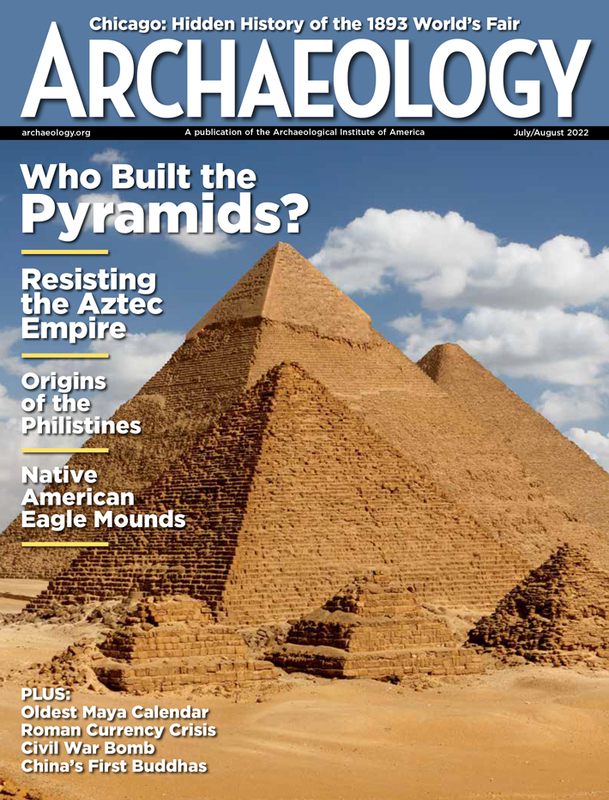 Unless procedures and protocols are developed for evaluating and registering sites and artifacts, "there will be uncontrolled sampling and even outright treasure hunting," says John Campbell, an archaeologist at James Cook University in Queensland, Australia, who has been responsible for organizing recent international seminars on the subject of preserving space heritage. 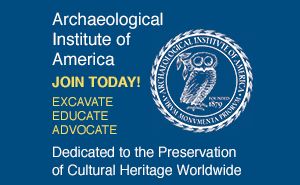 Federal cultural resource management legislation, he notes, has the potential to lift aerospace archaeology away from the profiteers and souvenir hunters and into its proper bailiwick within the discipline of historical archaeology. As a first step in that direction and with funding from the New Mexico Space Grant Consortium, O'Leary's group of archaeologists, curators, and physicists have researched and documented an archaeological assemblage of dozens of artifacts and features at Tranquility Base alone. Using this data, they have drawn up a preliminary site plan, one that, thanks to the Moon's lack of atmosphere, will doubtless remain unchanged for centuries, provided looters leave the site untouched. The challenges of surveying and preserving old spacecraft discarded on the surface of Mars will be greater. Dust storms could damage landers or even bury them beneath the red Martian soil. And since Mars has no protective ozone layer, ultraviolet energy from the Sun could damage the spacecraft. It may be necessary to deploy shields over such sites to protect them from the continual abrasion and decay caused by extreme temperatures, radiation, wind, and dust. Eventually, the Viking landers (1976), the Mars Pathfinder (1997), and the Spirit and Opportunity rovers (2004) might need to be moved indoors to protect them from the Martian environment that they helped explore. And, of course, field survey teams--human or robotic--will need to be dispatched to Mars' North Pole to answer the mystery of what became of NASA's lost 1997 Polar Lander, and to the Isidis Planitia basin in search of the European Space Agency's ill-fated Beagle II (2003). Yet it is one thing for a few archaeologists to realize the almost unlimited potential of archaeological studies in space, and quite another to do something about it. When O'Leary and her team approached various federal agencies responsible, such as NASA, to discuss legal issues related to space and national historic place designations, they were rebuffed by terse bureaucratese: "Placing Tranquility Base under protection might imply that the U.S. intended to exert sovereignty over the Moon." "Our office does not have jurisdiction." "Our office does not have the inclination." Similar problems cropped up with regard to the use of UNESCO's World Heritage List, since Tranquility Base can be seen as not so much a global cultural achievement as another battle in the Cold War. O'Leary believes it may be time to look to new kinds of worldwide treaties for the preservation of old structures on the new frontier that would bypass the cultural baggage associated with UNESCO's World Heritage List and the vague, contradictory possession clauses of the UN's space treaty. She points out that an archaeologist on Earth needs a permit from a relevant authority prior to conducting any intrusive research. If no authority can own property in space, what authority would issue such permits for the extraterrestrial archaeologist? The problem requires the creation of new international administrative structures unlike anything archaeologists have to contend with on Earth. As she crossed from the Leakey to the primitive lunar module, Gan recognized the faded red, white, and blue symbol that represented the classic 50-state alliance at the height of its global preeminence, a time of technological triumph, social unrest, and dietary disaster. She noted the fine coating of dust that covered the lunar module ascent stage and took great pains not to disturb it, except for one small patch. There, she wiped clear a small area to reveal the image of a stylized dog with a long snout. Above the dog was the word "Snoopy." Gan was the first human to touch the command module since it was abandoned by pilot Eugene A. Cernan and mission commander Thomas P. Stafford on May 24, 1969, 236 years earlier. Having studied it for this mission she and her team had developed a field tool that now enabled her to loosen the hatch cover that once connected Snoopy, the lunar module, to the command module, Charlie Brown. As it swung free, Gan squeezed through the narrow passage, leaving the year 2205 and entering a chamber of technology, language, and culture untouched for more than two centuries. The Cold War, which provided so much of the backdrop to the race for the Moon, is replete with failures that may never be examined until archaeology takes them up. The site where the Soviet Luna 5 probe crash-landed onto the surface of the Moon on May 9, 1965, may one day provide excellent archaeological opportunities for the study of the secretive Luna series of unmanned probes launched in an era of intense super-power competition for priority on the Moon. The questions that could be asked of such a site are almost limitless. Does its location correspond with archival records of its guidance and trajectory? Does the composition of the craft match its specifications? Is there any instrumentation or technology on board--Cold War or otherwise--that was never announced, recorded, or used on Earth? If one accepts the idea of archaeological research on sites from the history of human exploration in space, it is hardly a giant leap to consider the potential for archaeological fieldwork on the evidence of extraterrestrial civilizations. The late biochemist and science fiction writer Isaac Asimov once speculated that the galaxy may contain 325 million planets with traces of civilizations in ruins. Perhaps our astronomers and their SETI stations are hearing only static through their radio telescopes because they are, in effect, listening for a message from the extraterrestrial equivalent of the ancient Maya or the Sumerians--dead civilizations that can speak to us now only through archaeology. Constructing a catalog of visual signatures of advanced civilizations will someday be within the province of aerospace archaeology. And with a potential cultural resource database of 325 million planets with civilizations in ruins, there sure is a lot of fieldwork to do "out there." For two hours, Gan recorded the instrument settings and the arrangement of discarded clipboards with their innumerable checklists, marveling at how many functions humans had to attend to manually back in 1969--functions long since given over to the computers of the Central Bureau. Then, as she prepared to leave Snoopy and return to Leakey, she uncovered a small bag that held a minuscule amount of bright orange residue. She removed a tiny sample and placed it in her portable gas chromatograph mass spectrometer. The results were confusing. Though she read the English words on the bag as "Breakfast Drink, Orange," all the mass spec revealed was sugar, fructose, titanium dioxide (which apparently accounted for the bright orange color), xanthum gum, cellulose gum, and two chemicals she knew had been listed as poisons for more than a century--Yellow 5 and Yellow 6. The Moon, with its wealth of sites, will surely be the first destination of archaeologists trained to work in space. But any young scholars hoping to claim the mantle of history's first lunar archaeologist will be disappointed. That distinction is already taken. On November 19, 1969, astronauts Charles "Pete" Conrad and Alan Bean made a difficult manual landing of the Apollo 12 lunar module in the Moon's Ocean of Storms, just a few hundred feet from an unmanned probe, Surveyor 3, that had soft-landed in a crater on April 19, 1967. Unrecognized at the time, this was an important moment in the history of science. Bean and Conrad were about to conduct the first archaeological studies on the Moon. After the obligatory planting of the American flag and some geological sampling, Conrad and Bean made their way to the artifact made accessible by their brilliant piloting. They observed that Surveyor 3 had bounced after touchdown and carefully photographed the impressions made by its footpads. Conrad noted the artifact's brownish tint, and learned from Mission Control engineers in Houston that the probe had been white when it was launched. The photographic system's mirror was warped and the whole spacecraft covered in dust, perhaps kicked up by the landing. Conrad and Bean used a cutting tool to remove the probe's television camera, remote sampling arm, and pieces of tubing. The astronaut-archaeologists bagged and labeled these artifacts, stowed them on board their lunar module, and returned them to Earth. The Johnson Space Center in Houston, Texas, and the Hughes Air and Space Corporation in El Segundo, California, later analyzed the changes in these aerospace artifacts left on the Moon for more than two years. Published by NASA in 1972 as Analysis of Surveyor 3 Material and Photographs Returned by Apollo 12 (NASA SP-284, 1972), this sophisticated multidisciplinary investigation of the Surveyor 3 artifacts focused on the ways the retrieved components had been changed by the craft's voyage through the vacuum of space. As such, the mission of Apollo 12 provided the first example of aerospace archaeology, extraterrestrial archaeology and--perhaps more significant for the history of the discipline--formational archaeology, the study of environmental and cultural forces upon the life history of human artifacts in space. A piece of the television camera, subjected to a microbiological examination, revealed evidence of the bacteria Streptococcus mitis. For a moment it was thought Conrad and Bean had discovered evidence for life on the Moon. As all other competing hypotheses were systematically eliminated, the origin of the seemingly extraterrestrial life became apparent. While the camera was being readied for launch, someone had sneezed on it. The resulting virus had traveled to the Moon, remained in an alternating freezing/boiling vacuum for two and a half years, and returned promptly to life upon reaching the safety of a petri dish back on Earth. Lunar archaeology had made its first great discovery: Not even the vastness of space can stop humans from spreading a sore throat. Sealing the hatch of Snoopy, Gan returned to her own research vessel, backed it away, and set the ancient space artifact adrift once again on its orbit around the sun. As it floated out of sight, she entered the results of the mass spec analysis into the Leakey's computer. She discovered that the orange substance she had tested was known in the 1969 vernacular as "Tang." As she navigated her way back to her field team on Q36, she suddenly remembered from her food history that it would be another half century before Americans realized--too late--that such sugar- and corn syrup-based foods had led their nation into cultural and physical obesity. In her mind, she was already spinning a new hypothesis. The same processed foods that had led America to the Moon had led to its downfall. She would present it at the next Interplanetary Archaeology Congress. She would call it her "NAPA" hypothesis: North America Pre-Atkins. P.J. Capelotti is a senior lecturer in anthropology and American studies at Penn State University Abington College in Abington. He is the author of Sea Drift: Rafting Adventures in the Wake of Kon-Tiki, By Airship to the North Pole: An Archaeology of Human Exploration, and a forthcoming textbook, The Exploring Animal: An Introduction to Archaeology from Seafarers to Spacefarers.